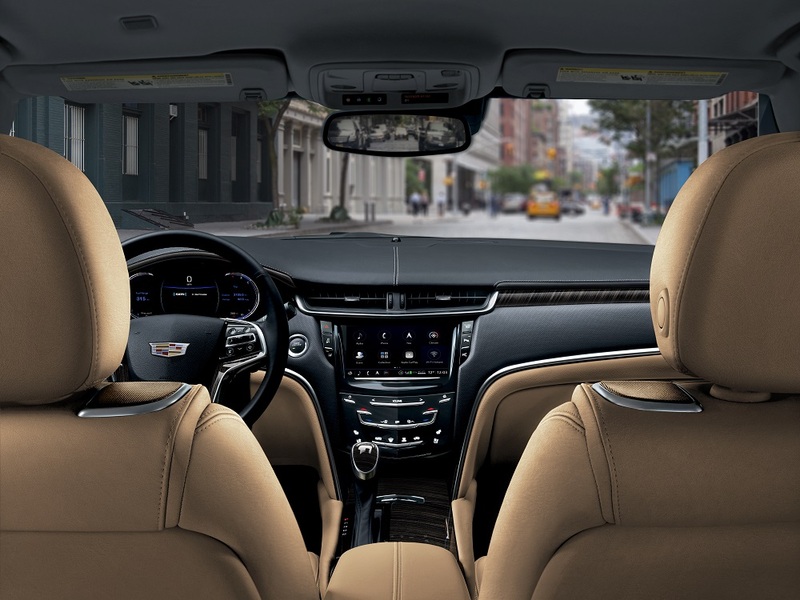 Cadillac XTS provides available advanced safety based on Cadillac’s "control and alert" strategy, which employs advanced technologies including radar, cameras and ultrasonic sensors to help prevent crashes. The safety features bolster driver vision and awareness of road hazards and can even help the driver avert potential crashes. In certain situations, Cadillac’s advanced crash-avoidance systems, such as automatic braking, can automatically apply braking in response to potential hazards. The available Driver Awareness Package also features updates to provide the comfort of assurance in a safe drive. XTS models equipped with the Driver Awareness Package will find features such as Low Speed Automatic Braking, Following Distance Indicators and Lane Change Alert to complement Side Blind Zone Alert. The Driver Awareness Package is available on Luxury Trim and is standard on higher trims. The Driver Assist Package, which adds Adaptive Cruise Control and Forward/Reverse Automatic Braking, is available on Premium Luxury and standard on Platinum models. Additional safety features include dual-stage frontal air bags, knee air bags, side-impact air bags, head-curtain air bags and seat side-impact air bags for outboard rear passengers. A Rear Vision Camera is standard on all XTS models. Head-up display is standard on Premium Luxury and Platinum models. The XTS also offers automatic parking assist (FWD models), which enables the car to park itself in both parallel and perpendicular spaces. It uses ultrasonic sensors to locate a suitable space and maneuver the car into the space. The driver is required to only engage reverse and apply the accelerator and brake pedals.